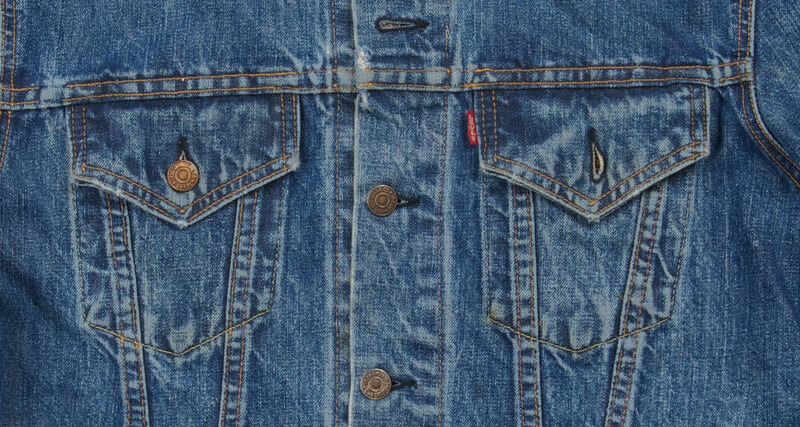 Iconic Levi’s Trucker jackets only get better with age. A Levi's sales bulletin from 1967 captures the spirit and aesthetic of the era. The original denim jacket that evolved into an icon of cool is celebrating its golden anniversary. Levi Strauss & Co. and fans around the world are commemorating the 50th anniversary of the Trucker jacket — an American original that has made fashion history. “Levi’s Trucker jackets represent a unique American garment that has become a global style trend,” said Tracey Panek, Levi Strauss & Co. historian. Trucker jackets hit the market 50 years ago when a rising youth culture expressed individuality through clothing, music and art. The aesthetic of San Francisco’s Summer of Love is a fashion statement still heard ‘round the world. Just look around at the nouveau hippie styles and the jean jacket that never left. Panek recently returned from Dubai, where the jacket’s 50th birthday party was staged at the largest mall in the world. Yet with its red tab and blue denim, the Levi’s jacket remains an American as apple pie article of clothing that makes a free-spirited fashion statement: “life, liberty, and pursuit of laid-back happiness.” The brand’s iconic status owes in part to a longstanding reputation. Levi Strauss & Co. has been in business for 164 years. In 1870, they manufactured the first blue jeans, known back then as riveted waist overalls. A Levi's Trucker jacket in classic denim. The prize-winning 1973 Levi’s “Hair” Trucker jacket. People have been customizing their Trucker jackets for decades, creating their own unique, classic looks. Fans customize their Levi’s jackets with anything from leather fringe to silk embroidery, rhinestones, rivets and every embellishment in between. The Levi’s “Hair” Trucker jacket adorned with bottle caps and hair-color samples was a winning entry. The Museum of Modern Art in New York City currently exhibits a pair of Levi’s 501 jeans on display as part of their current exhibition titled “Items.” MoMA recognized the garment as one of 111 articles of 20th century clothing that have made an impact on history. Earlier this year, the Cooper Hewitt Museum, also in New York City, added a Levi’s Jacquard by Google jacket to their collection. “This inclusion was a nod to the design significance of our Trucker-style Commuter jacket with leading-edge technology,” Panek said. The jacket allows wearers to control their phone through a smart sleeve. Panek indicated that the Type III jacket likely will continue to evolve as wearable technology becomes the norm. Collaborations with leading designers and style-settlers, like this one, will continue to influence the future of this classic jacket. But for now, the past is still stylish. For fashionistas fixated on hip style or blue-collar workers concerned with durability, the Trucker is almost indestructible—one of those few favored garments that grow better with age. And worn Levi’s jackets can bring a pretty penny. At the Quality Mending Company, a vintage shop in Manhattan, Levi’s jackets sell for about $1,000. At the Encore Store in Cherry Creek North, Denver’s tony shopping district, Levi’s jackets come and go regularly on consignment. Versatility, Bruns said, appeals to those who favor the denim jackets. Folk-pop star, Nathaniel Rateliff — who worked as a trucker before his meteoric rise in the pop music world — is one of a long string of celebrities who’ve popularized the Trucker jacket. Rateliff and his band the Night Sweats wear Levi’s Trucker jackets on stage at major venues like Red Rocks, and their first album cover features the musician wearing a Trucker with nothing but a turquoise necklace underneath. However styled, wearing a Levi’s jacket makes a statement.